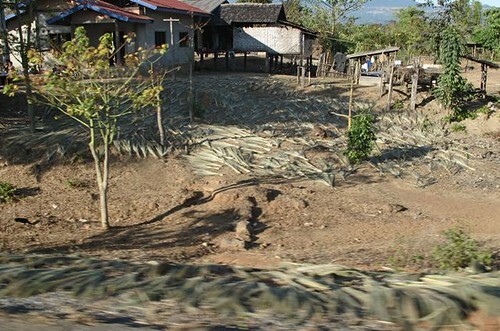 Just before the weather gets really hot, people collect the tall grass and dry the stalks on every available flat space. Then they braid the stalks into brooms. Maybe the reader doesn't wish to know the details about this kind of salad. 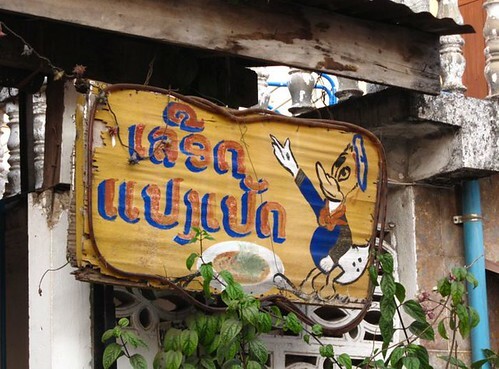 I just wonder - is this Daffy Duck or Donald Duck promoting the virtues of eating other ducks? This post is for ABC Wednesday, which going into it's fourth round. Check out other people's alphabets from around the world! I really love this post of yours! Especially the brooms picture!! Juhuu!! Marvellous! I was going to say that the brooms look like they are made of feathers too. A fascinating picture showing your country. love the way you ve captured and attempted the theme :D specially the brooms pic !! I'm guessing I might not want to know all the details about the duck...:) The photos are wonderful and it's so nice to see through another's eyes. Thank you. Those brooms look great! Do people buy a new one each year? @Pam - I've eaten my share of 'Leuak baeng phed" so I'm entitled to making fun of it. I'm even sad that it's not available in more restaurants since the emergence of avian influenza. @Lene - Thanks. I like these brooms. They're very good for catching the fine dust which settles on everything. @Carol -the brooms are great. The duck salad... is not to everyone's taste. @tumblewords - I enjoy showing off Laos. 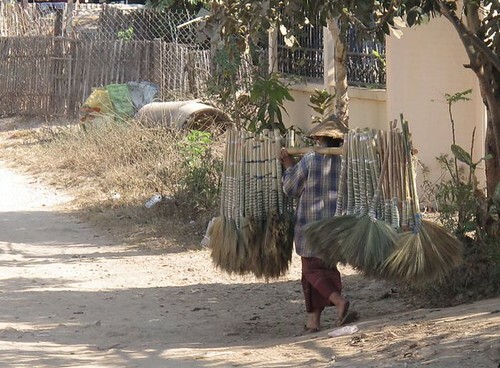 @Jay - The brooms are about 1 USD each so I always buy quite a few. Well, the cats get into them too, so that creates a greater market in my neighborhood. Those brooms look pretty, especially all bunched together.